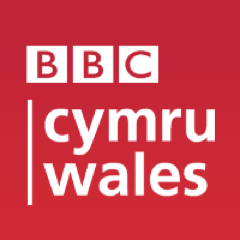 Storage Giant owner Simon Williams has once again been interviewed by BBC Wales about his continuing success amidst the worst recession since the 1920s. BBC correspondent Kevin Leonard visited Estuary Court in Newport in 2008, Simon’s business park, a few months after it opened to report on its surprising success after the economic crash the year before. Simon was very confident that the business would succeed despite the current climate and at the time of Kevin’s visit had just filled the last of the 20 units, all of which were still occupied on the news reporters return last week. Simon is very proud to say that not a single company in the business park has gone into insolvency and many of the original companies are still with them 5 years on. The success of Estuary Park is entirely down to the people who work there, as well as Simon himself who admitted to working 15 hours a day, six days a week to keep everything running properly. Here at Storage Giant we strive to stay in line with Simon’s philosophy and work hard to deliver the best possible service to all our customers, we want to make their experience the best that it can be. Come and visit us at our Cardiff, Swansea and Newport branches to find out why our staff have helped to make Storage Giant the success it is today and discover how we can help you. Read the BBC’s article about Simon and his continuing success here.